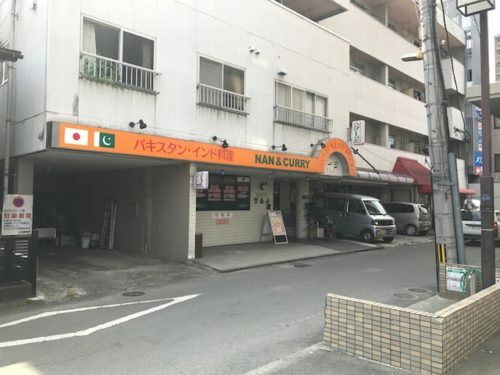 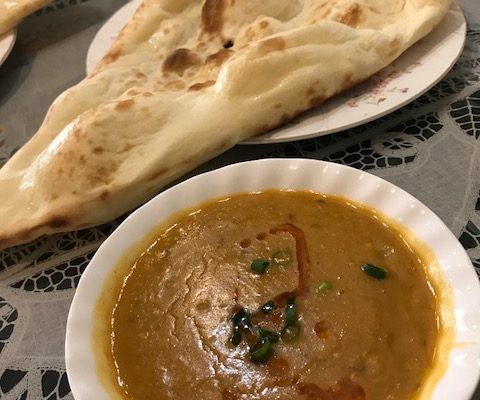 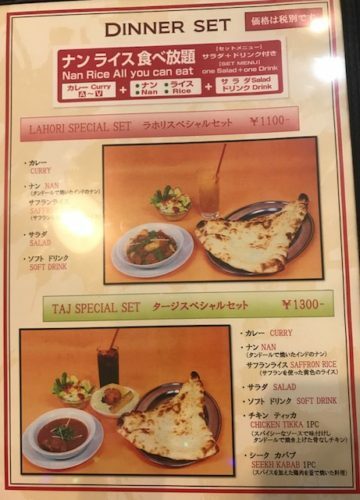 One of the few curry restaurants in the downtown area that offer nan for lunch! 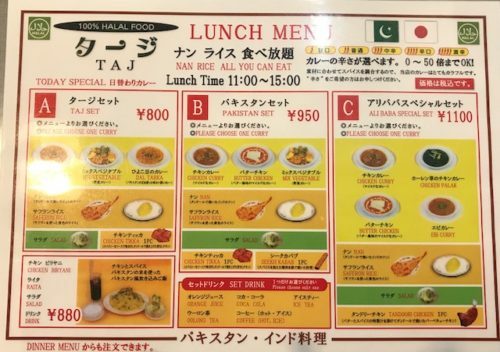 Newly opened near the Kokai Shopping area, Taj offers Pakistani-Indian cuisine at reasonable prices. 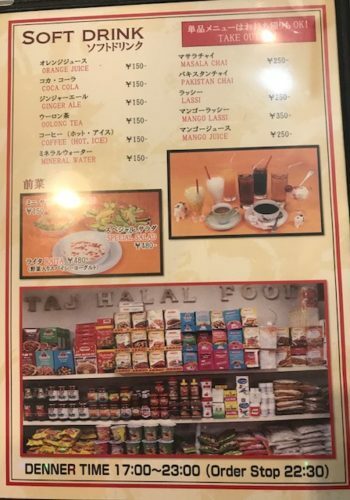 Taj is also a shop with a variety of halal items available. 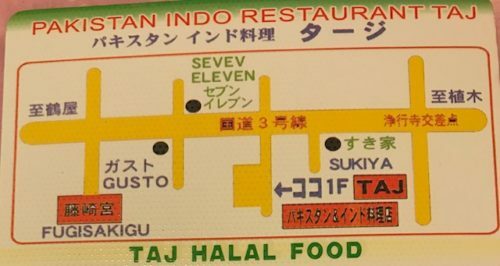 If you keep halal or have friends and guests who do, you can find many certified halal products here.